The golf course is located directly across the street from the Prairie Band Hotel & Resort. From I-70, take Highway 75 North towards Holton. Exit on the 150th Road Exit and turn West (left). 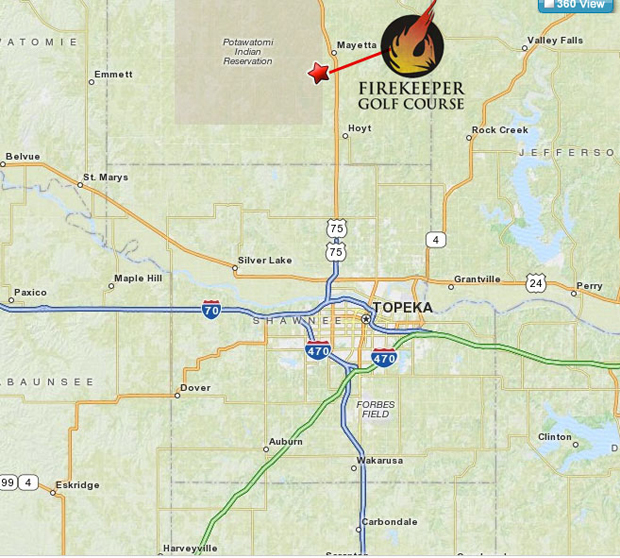 The Entrance to Firekeeper is on the North side of 150th Road under the Eagles. From Wichita, Take 35 north Towards Kansas City. Continue onto 335-N. Merge onto I-470 Towards Topeka. Take I-70 exit towards Kansas City. Take Highway 75 North Towards Holton. Exit on the 150th Road Exit and turn West (left). 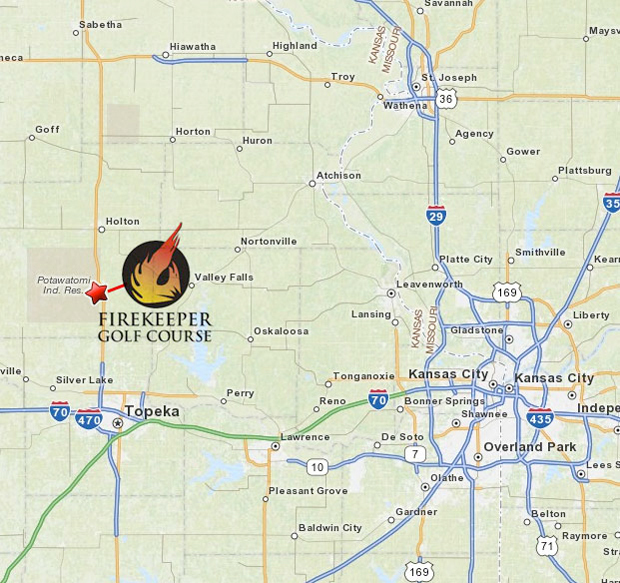 The Entrance to Firekeeper is on the North side of 150th Road under the Eagles.